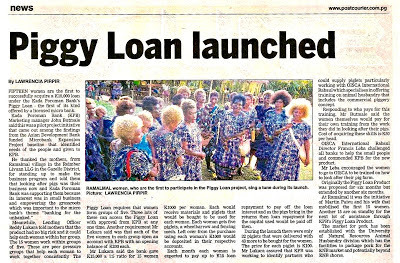 Co-financed by Asian Development Bank (ADB), the Australian Agency for International Development (AusAID) and the Government of PNG, the Microfinance Expansion Project is a comprehensive development approach designed to strengthen the growth of the microfinance sector in Papua New Guinea (PNG). 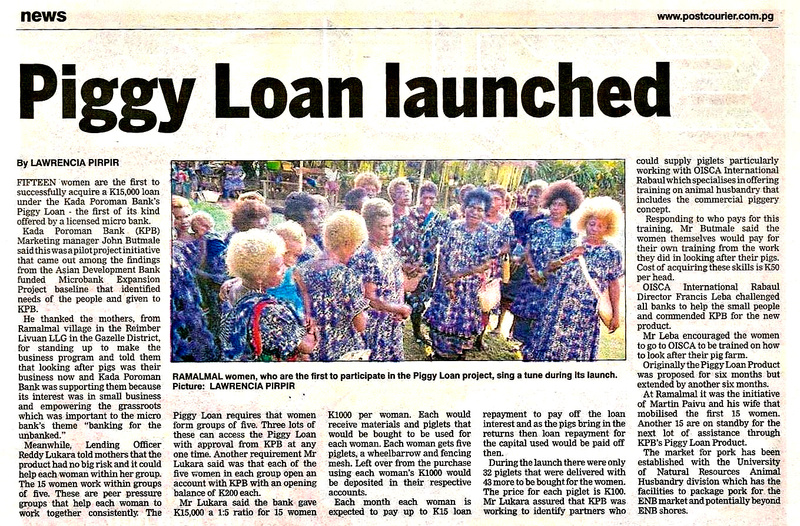 Launched in ApriI, 2012, MEP is designed to take forward the learning and initiatives of the previous project - PNG Microfinance and Employment Project (2002 to 2010). Only approximately 15% of the population of PNG presently having access to financial services. Availability of natural resources, untapped opportunities and economic changes that the country is undergoing offers potential for expansion of the microfinance sector. However the opportunity comes with challenges of low literacy levels, absence of good infrastructure and limited scope for promotion of micro enterprise. Read ADB's project page for the MEP.